When chronic heartburn, or GERD. cannot be controlled with medication and other approaches, Dr. Liu can perform heartburn relief surgery to eliminate symptoms and protect the esophagus. As a leading Santa Monica, CA, area doctor, Dr. Liu is skilled in state-of-the-art surgical techniques for patients with stubborn GERD. Heartburn symptoms occur when stomach acid flows backward into your esophagus, causing painful burning sensations. When it occurs chronically, it's called gastrointestinal reflux disease, or GERD. Normally, stomach acid is kept in the stomach by the lower esophageal sphincter (LES), an opening located between the esophagus and the stomach. But sometimes, stomach acid flows backward. Many factors can trigger heartburn symptoms, including spicy foods, caffeine, alcohol, pregnancy and obesity. People who have a medical condition called hiatal hernia can also develop GERD and studies have shown smoking can relax the LES and make GERD more likely. While some people can control their heartburn symptoms using medication and lifestyle changes like avoiding foods that cause heartburn, in others, GERD can cause problems like scarring and narrowing of the esophagus, or result in tissue changes in the lining of the esophagus. This is a condition called Barrett's esophagus, and it can be a precursor to esophageal cancer. The best way to know if your chronic heartburn is causing serious issues in your esophagus is by having an endoscopic exam that allows the doctor to look at your esophagus and stomach using a flexible tube inserted through your mouth while you're sedated. 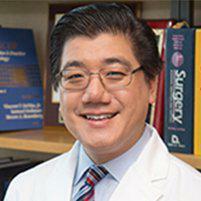 What types of GERD surgery does Dr. Liu offer? When surgery is needed, Dr. Liu uses one of two procedures – Toupet fundoplication or transoral incisions fundoplication (TIF). In Toupet fundoplication, a portion of the stomach is repositioned to “wrap around” the esophagus, preventing stomach acid from traveling backward through the opening called the lower esophageal sphincter. The procedure can be performed laparoscopically through a small incision in the abdomen. In TIF, the fundoplication procedure is performed through the mouth using a special flexible instrument called an endoscope -- no incisions are needed. Dr. Carson Liu on Good Morning America: Health explains a new non-invasive surgery to treat acid reflux and heartburn. "There are no words really...you are saving my life." "I want to say thank you very much to Dr. Carson Liu and his staff. You have changed my life."